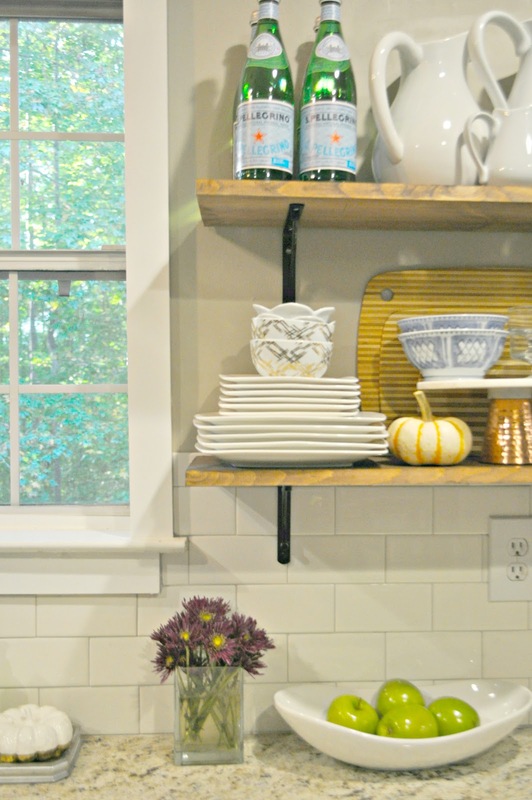 After all teasing on Instagram, I am happy to announce that today is finally the day that I reveal the kitchen shelves! As you know, the kitchen has been a work in progress over the last several months and I am so close to putting all of the final touches in. 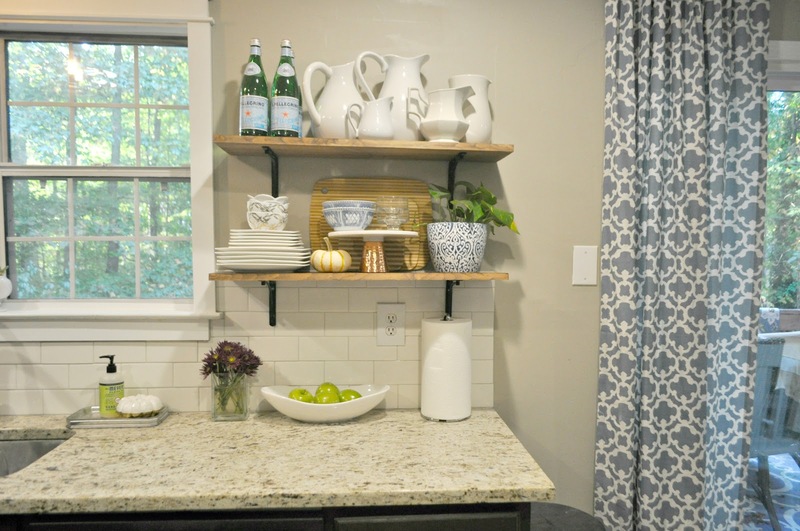 You saw the reveal of the subway tile and even a full tutorial on how to do it yourself last week, I am waiting to get my window treatment, and I just installed all of the new hardware. Just a few more little details, and we can call this project DONE! This was a project that I looked forward to completing because I was so excited to see how it was going to look. From this image, you can see that in the place that the shelves now live, it used to be a random cabinet. Emphasis on RANDOM! So we removed that cabinet and I created a better organizational to make up for the space that I lost. Being that my kitchen is pretty small, I couldn’t afford to lose the space. I just loved how they turned out! The brackets I chose are similar to these. I can’t seem to find the exact ones I have online, but these are pretty close. I like how the wood is not perfect, but its still really pretty. 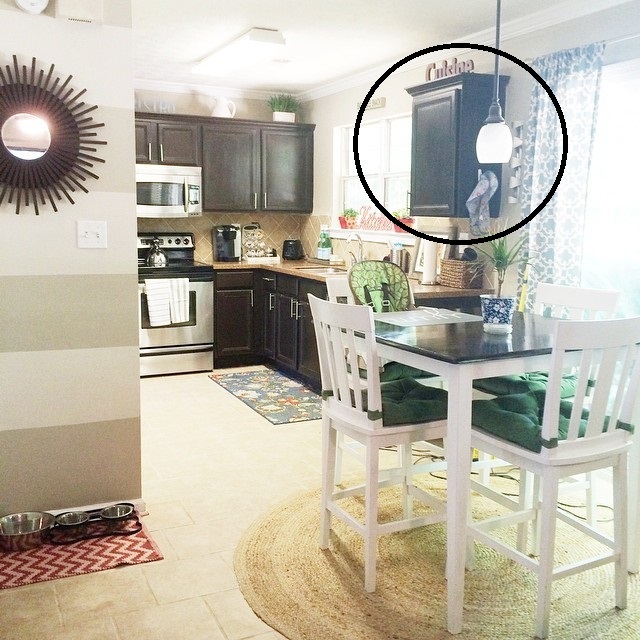 Its the perfect place to store my extra dishes, along with my collection of white pitchers. The cake plate with the copper bottom is from Target. My dishes are white pitchers are mostly thrifted. If you are ready to tackle this project, click the video below. It’s super easy and a big impact. I list all of the items I used and provide a full detailed tutorial. Leave me a comment if you have any questions! And stay tuned for more kitchen updates and a full kitchen reveal coming soon. 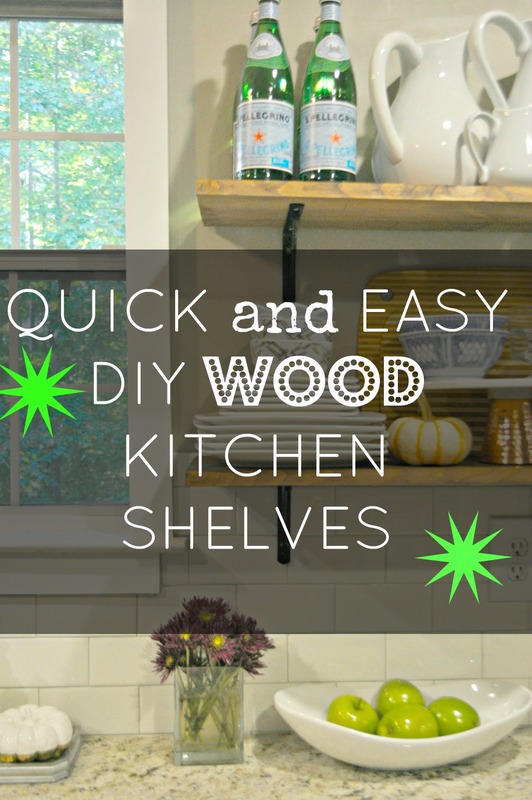 The shelves really look great, Erin! Such a pretty place to display your collection of white pitchers. Thank you Brandi! So happy to finally have a place because they have been stored in the pantry for far too long. 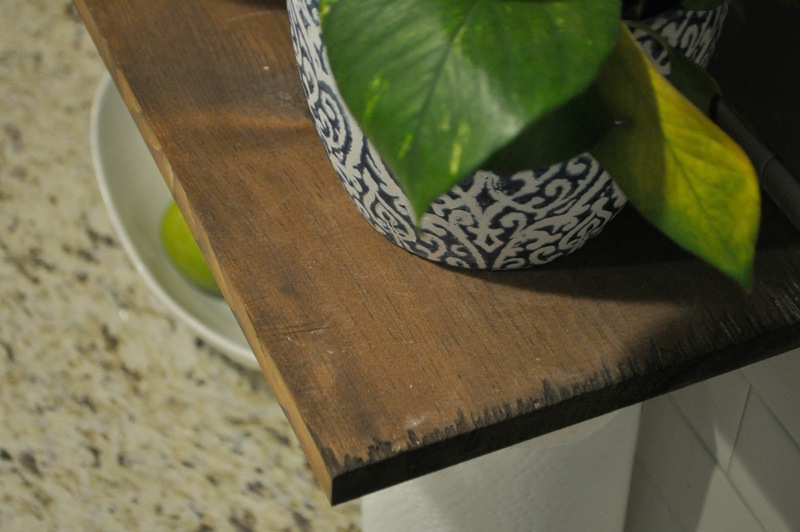 I like the stain you picked for the shelves Erin, they came out really pretty! Erin, the shelves look great! I love how you styled them with your collection of white pitchers. Nice job! Absolutely beautiful Erin! 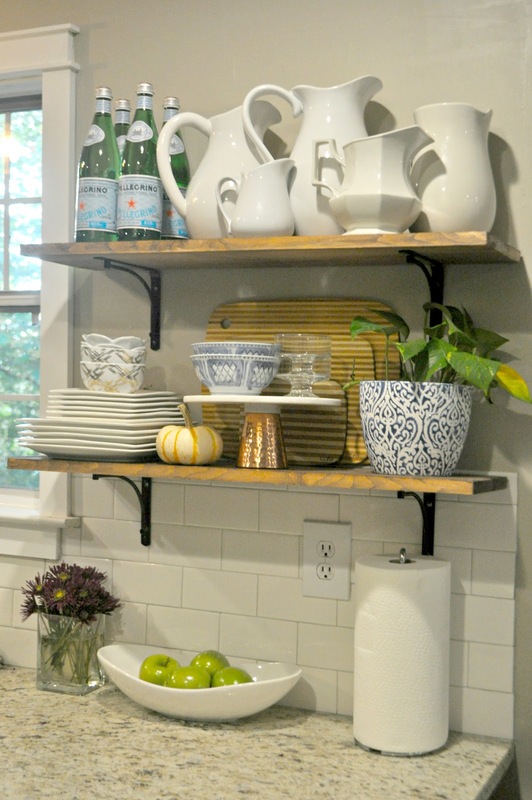 your shelves look amazing and you styled them to perfection!